Under the country’s rigid patriarchy and caste system, girls and women in Nepal tend to have lower status in family and society. They have limited access to education and livelihood opportunities, which hinder their development and chance to break the cycle of poverty. In promoting gender equality it is crucial to invest in women’s economic empowerment. Hence, Plan International launched a programme to support the growth of women-led business enterprises and develop their earning potential. To twenty-two-year-old Jayanti, the programme provided a life-changing opportunity. Jayanti grew up in a remote ethnic community in west Nepal, around 700 km from Kathmandu. Unable to continue her education after failing her high school examinations, she had no option but to work in the fields with the rest of her family. Then she had to take care of her younger siblings and do her chores. 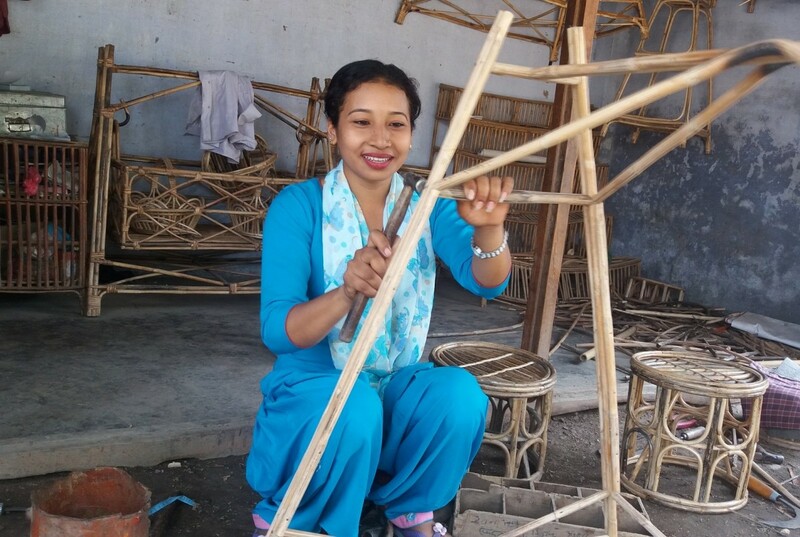 Jayanti got involved in the meetings and group activities and took part in a two-month vocational training to learn how to make furniture and decorative items from cane, a local available material. Plan International provided training to Jayanti in which she learnt how to make furniture from cane. After the training, Jayanti and a group of other women decided to start their own business. Plan International supported with the start-up costs and now their business is flourishing. They produce book racks, small chairs and other items and each earn between US$ 70-120 per month. From the income she makes, Jayanti is supporting her younger sister’s education. She also supports her parents with their household expenditure and pays for her grandfather’s medical treatment.